Most of us are aware that hybrid vehicles are very fuel-efficient and deliver substantial savings at the gas pump – factors that have helped them grow in popularity among eco-conscious drivers. 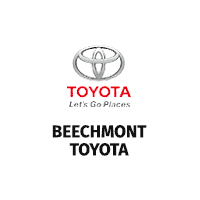 Beechmont Toyota carries a full lineup of Toyota hybrid cars and SUVs packed with this impressive technology. Ever wondered how these systems work? Below you can learn all about how a hybrid vehicle works. The majority of Toyota hybrid vehicles use a sophisticated system known as Hybrid Synergy Drive®. Look under the hood and you will find a gasoline engine and an electric motor which work in harmony to deliver the incredible fuel economy and reduced emissions. On the highway, these vehicles have power similar to a traditional gasoline-powered car. In town, drivers of hybrid vehicles can enjoy a quiet, smooth ride thanks to the system relying primarily on electricity. Hybrid Synergy Drive® systems can seamlessly switch between gas and electric power depending on how much power is required for the situation. Toyota vehicles like the Prius can rely solely on one form of power depending on the scenario. The gasoline engine will not be in use at low speeds, but drivers will feel the gasoline engine come to life under heavy acceleration. Regenerative braking systems allow for recovering energy during braking and returning it to the battery for later use. Toyota hybrid vehicles often have aerodynamic-focused designs to help maximize efficiency. 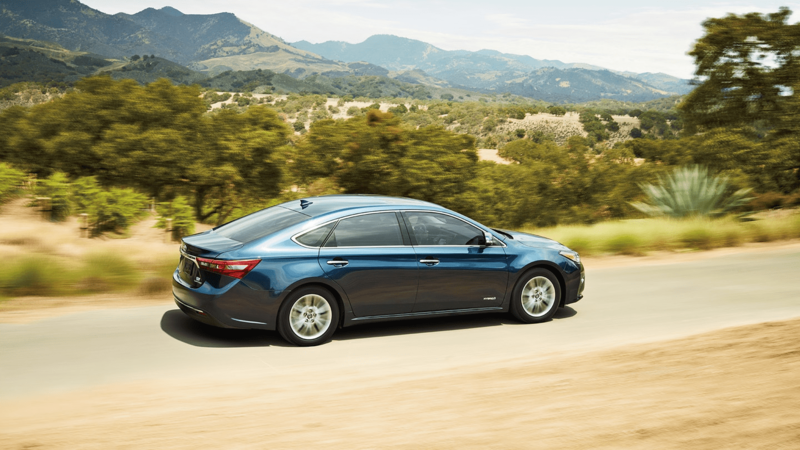 Toyota Avalon Hybrid offers luxurious comfort, sleek exterior styling, and unrivaled fuel efficiency. Standard power comes from a 2.5-liter 4-cylinder hybrid engine with Hybrid Synergy Drive® technology which produces 200 horsepower. Experience an EPA estimated fuel economy rating of 40 MPG combined*, saving you trips to the gas pump. This impressive fuel economy earns a Super Ultra Low Emission Vehicle (SULEV) rating for the Avalon Hybrid. 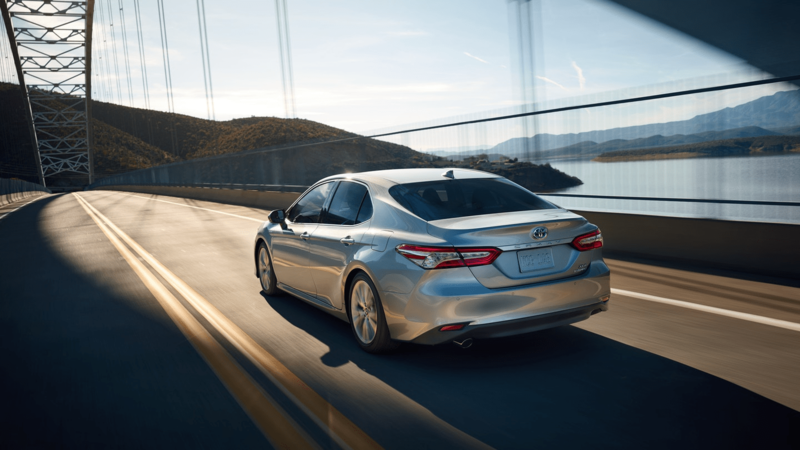 Standard features across all three available Avalon Hybrid trims are leather seating, Toyota Safety Sense™ P, Entune™ Audio Plus with Connected Navigation App, and a power tilt/slide moonroof. A seasoned favorite among midsize sedan buyers, the Toyota Camry Hybrid combines remarkable efficiency with bold styling and driving dynamics. Hybrid Synergy Drive® combines the output of both the gas and electric motors to achieve an impressive 176 hp, while earning a 51 MPG city fuel economy rating*. Camry Hybrid features an advanced design, refined aerodynamics, and lightweight materials which contribute to the outstanding efficiency. Choose between ECO mode to help maximize fuel economy or EV mode to rely solely on electric power for up to one half-mile under certain conditions. Camry Hybrid XLE offers luxurious interior appointments while Camry Hybrid SE delivers responsive driving manners. Toyota Prius is back for 2018 sporting bold sculpted body lines, dynamic LED lighting, and an athletic stance. Prius delivers legendary efficiency with an incredible 58 MPG city fuel economy rating*. 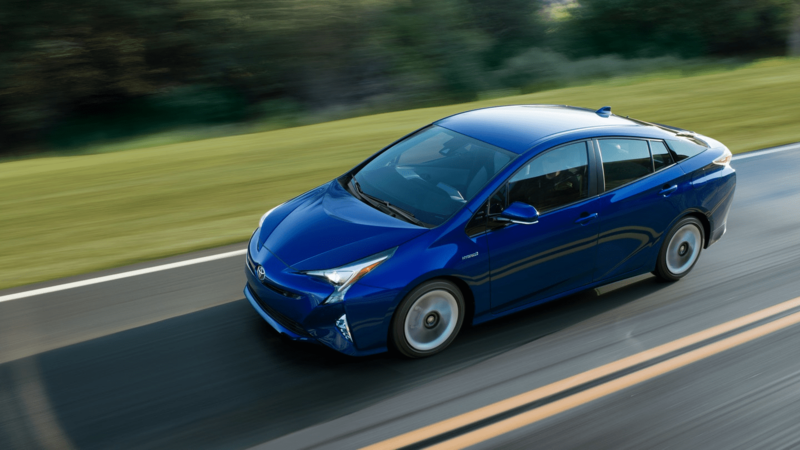 Aerodynamics play a vital role in not only the striking appearance of the Prius, but also in helping it cut through the air and get more MPG out of every drive. Hybrid Synergy Drive® maximizes the output of both the gas and electric motors on Toyota Prius. 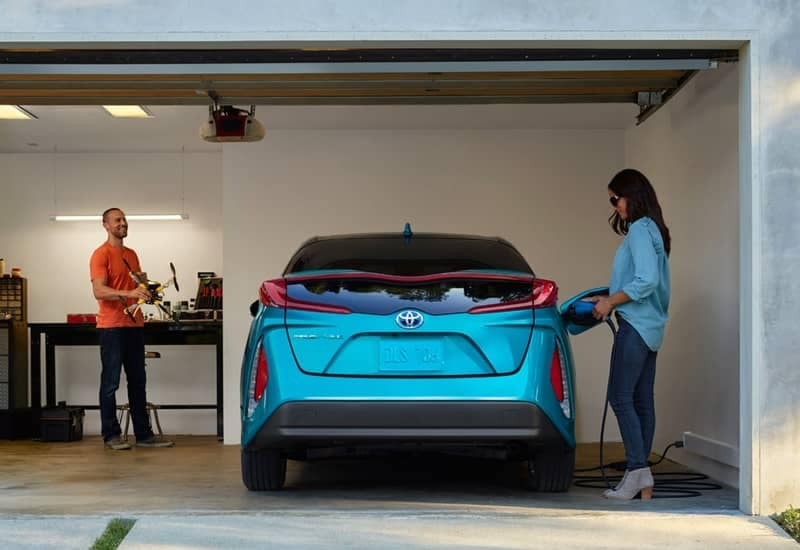 Offering more than outstanding gas mileage, standard tech features on the Prius include an Integrated Backup Camera, Entune™ Audio with 6-inch Touch-screen and Smart Key System. The Prius Prime is the most efficient hybrid vehicle ever made by Toyota. It has the power to run solely in either EV or hybrid driving modes. A combination of Hybrid Synergy Drive® along with an optimized Plug-in Hybrid Vehicle (PHV) system maximize efficiency and optimize performance. Drivers can fill up and drive Prius Prime in hybrid driving mode and achieve up to 55 MPG city fuel economy*. Unique to Prius Prime, drivers can charge via a standard household outlet and drive solely on electric power while getting up to 133 MPGe*. Total EPA-estimated range for Prius Prime is an outstanding 640 miles*, the highest range in its class. Advanced lightweight materials, striking design, and innovative tech features make Toyota Prius Prime an excellent choice for eco-conscious drivers. Proven Hybrid Synergy Drive® technology, an edgy new body kit and two-tone color scheme, and cutting edge technology are only a few highlights of the compact Toyota Prius C. 5-door flexibility means loading up passengers or cargo is effortless. Prius C boasts an outstanding 48 MPG city fuel economy rating* making frequent trips to the gas station a thing of the past. 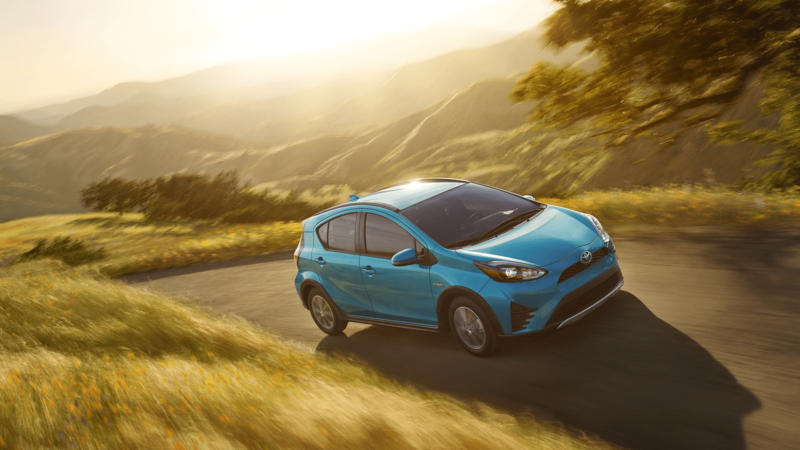 Prius C offers two selectable driving modes, an energy monitor, drive information screen, and ECO savings data readout. The eco-conscious emphasis continues beyond MPG ratings for the Prius C. Available SofTex® seat trim material weighs approximately half that of conventional leather and generates approximately 85% fewer CO2 emissions and 99% fewer Volatile Organic Compounds (VOCs) during the manufacturing process. Remarkable fuel efficiency doesn’t have to mean sacrificing power and capability. 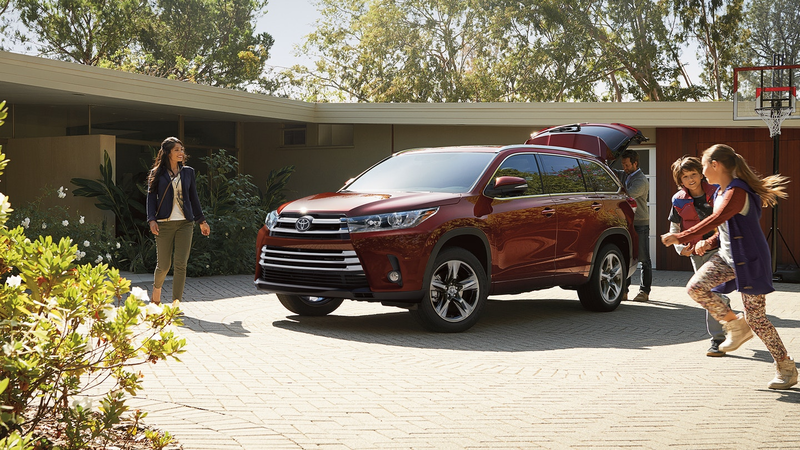 The Toyota Highlander Hybrid achieves an impressive 30 MPG city fuel economy*, making it easy to zoom past gas stations. Power is not lacking either, as the Highlander Hybrid generates as much as 306 hybrid system net horsepower that is capable of towing up to 3,500 pounds. Electronic On-Demand AWD system with intelligence (AWD-i) means that Highlander Hybrid can conquer even the most adverse weather conditions. 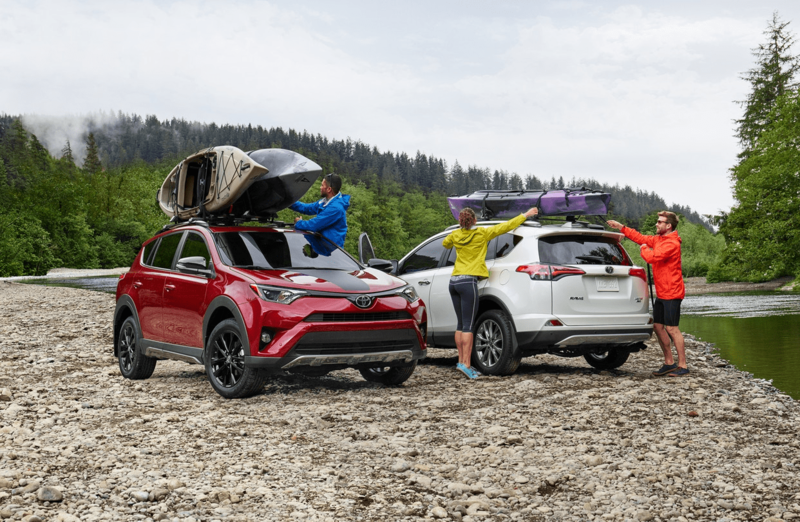 RAV4 Hybrid brings efficiency, style, and technology to every adventure. 306 hybrid system net horsepower and Electronic On-Demand All-Wheel Drive with intelligence (AWD-i) prove the capability of the RAV4 Hybrid. Less trips to the gas station will make your wallet happy thanks to the 34 MPG city EPA-estimated fuel economy rating*. RAV4 Hybrid has a unique gauge cluster that lets you monitor the Hybrid Synergy Drive® system with just a glance. What Are the Advantages and Disadvantages of a Toyota Hybrid? Using a combination of electric and gas power reduces fuel consumption and conserves energy, meaning a less harmful impact on our environment. Less money spent on gasoline means more money in your pocket. Several tax credits and incentives may also be available for certain hybrid vehicles. Less dependance on fossil fuels. Using less fuel reduces reliance on fossil fuels, which also helps reduce the domestic price of gasoline. As hybrid vehicles grow in popularity, many shoppers are turning towards hybrid vehicles. More demand for hybrids raises values in the used market. Gasoline engines in hybrid vehicles are generally smaller than a traditional engine. Electric motors are similarly low powered. Hybrid vehicles are best suited for urban, city settings instead of high-speed driving and acceleration. Sophisticated technology and components often make hybrid vehicles more expensive to purchase than their more traditional counterparts. Having both an electric and gas motor on board along with packs of powerful batteries add weight to hybrid vehicles. This can result in more sluggish handling. Hybrid drivetrains often require specialized maintenance and equipment. This could result in higher maintenance costs. Toyota engineers consider the batteries installed in Toyota hybrid vehicles to be a life-of-the-car component, meaning that replacement is very rare. It could be hundreds of thousands of miles and several owners down the line until a battery pack experiences a significant dip in performance. In fact, Toyota stands behind the batteries installed in hybrid vehicles by offering up to an 8 year/100,000 mile limited warranty. Again, it is highly unlikely that you will incur the cost of having the replace the battery in your hybrid Toyota vehicle. Are all hybrid cars electric? The most common form of hybrid vehicle is one with an on-board gasoline engine and fuel tank combined with some form of an electric motor and battery pack. If the hybrid system has enough strength it is possible to run solely in electric mode, albeit often only for short distances. Dedicated plug-in EV vehicles such as the Toyota Prius Prime have the ability to run on electric power alone. Hybrid vehicles typically rely on power from an internal combustion engine first, with electric power available as a complement to increase efficiency. Do you charge hybrid cars? It is important to note that Toyota offers two types of hybrid vehicles. Hybrid Synergy Drive® technology blends electric and gas power and relies on both forms to propel the vehicle down the road. These vehicles do not require plug-in charging as the gas-powered motor generates power to charge the batteries while the vehicle is in use. Toyota Prius Prime is able to rely on either Hybrid Synergy Drive® OR an all-electric EV mode which does require plug-in charging. Charging is possible from a standard home outlet or a dedicated EV charging station. Which Toyota Hybrid gets the best gas mileage? Toyota Prius Prime is the most efficient hybrid vehicle ever made by Toyota. It is rated with an EPA-estimated combined fuel economy rating of 54 MPG* along with an astounding 133 MPGe* rating. Drivers can commute up to a 25 mile range solely on electric power. When not in EV mode, Toyota Prius Prime is capable of driving up to 640 miles*.